Three vineyards make up the blend for this wine. 68% of this wine is Syrah from the Kazmet Vineyard, which is on a small country road and nestled under 80-foot Douglas Firs. Head-pruned, no irrigation, gravelly loam soils and excellent exposure are exactly why there is something very special about this Syrah. 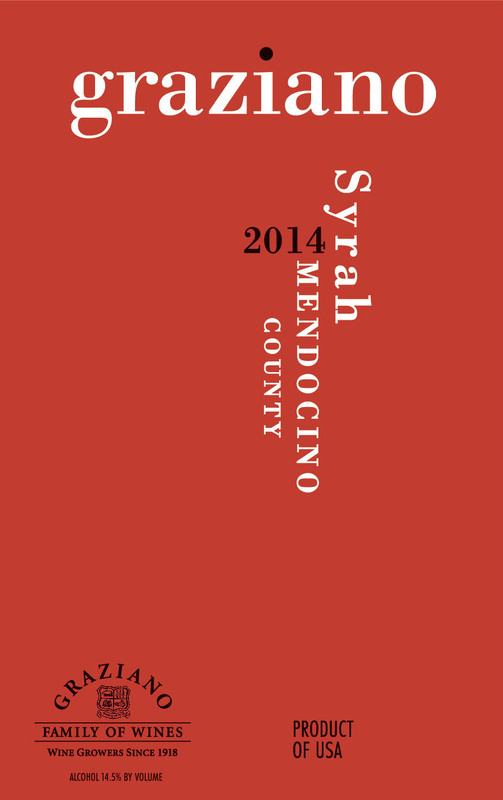 22%% is also Syrah from the Eaglepoint Vineyard located in eastern foothills above the Ukiah Valley. The remaining 10% is Petite Sirah from Gary Venturi's vineyard that located on western benchlands of Calpella. All of these vineyards have shallow soils and excellent exposure that combine to produce grapes that are intensely ripe and flavorful. This wine shows a brilliant, dark purple garnet color and has deep complex aromas and flavors of boysenberry and ripe plums with hints of white pepper spice, roasted coffee and toasty oak. This well-balanced wine displays ample acidity and medium ripe, full tannins. The finish is smooth, round and long lasting.